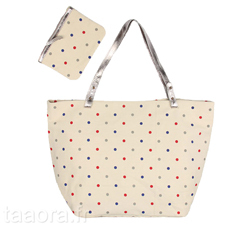 The printed dots comeback among the fashion trends of summer 2013. Distilled shorts, a shirt, swimsuit, or touches through accessories, or shoes, polka dots pattern retro sixties style brings elegance and femininity. 6 ideas shopping trend peas!